Eliza is seeking sponsorship in order to achieve her competitive goals in 2016 and beyond. Competing at the international level in dressage is a huge financial undertaking. Below is a list of just a few of the expenses. And the list goes on, and on, and on!! There are a few ways to help support Eliza through sponsorship. Do you have a product or business that you would like Eliza to promote? In the horse world, especially, personal recommendations are much more effective than advertising. 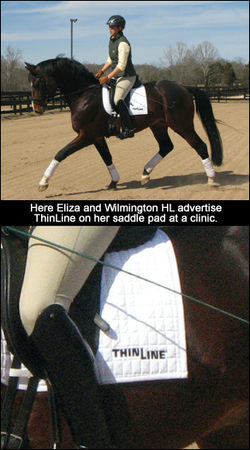 At competitions and clinics, Eliza can promote your product or business by displaying brochures, banners, etc, and by being available to talk with the public about your product. A link to your website can also be posted on Eliza’s website with a testimonial accompanying it. An honest testimonial and personal story of how your product or business was beneficial will be remembered long after an advertisement was thrown out and forgotten. Personal sponsorship – When Eliza and her horse enter the arena for a competition, it is just the two of them, focused on the goal. But a huge team is required behind them to get to that point. Eliza really enjoys sharing her goals and dreams with anyone that is interested in helping. This help can vary from lending a hand with grooming at a show, to financially helping with all the costs required for this sport. Donations of any size are helpful and greatly appreciated. 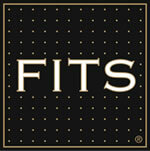 Tax deductable donations may be made through the American Horse Trials Foundation, Inc. (AHTF). A Maryland-based organization, the AHTF was founded in 1987 to help riders with international competitive aspirations to garner tax deductible financial support for their training and competition expenses. Riders who are bona fide national or international level competitors are eligible to apply for grants from the American Horse Trials Foundation to offset the considerable expenses of developing, maintaining, and competing horses. Donations are 100% tax deductible according to IRS Code Section 501(c)(3). The American Horse Trials Foundation was established in 1987 to assist 3-Day Event Riders and Organizers in raising tax deductible financial support for national and international competition. In 1996, the Bylaws were revised so that the Foundation could assist riders competing in dressage as well. Eliza recently established grant eligibility with the AHTF. 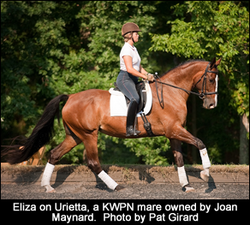 By making a tax deductible contribution to the AHTF, you will be helping Eliza and her horses realize their potential. The single biggest hurdle for any top dressage rider is finding and purchasing a super quality horse. Perhaps you are a breeder, who bred an incredible athlete and want to see him/her developed to the best of their ability in order to sell them for a higher price one day. Or maybe you own a breeding stallion, and want him to compete in sport in order to more effectively market him. 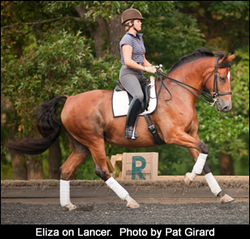 Or maybe you would like to own or support a horse that Eliza trains and competes, purely for the enjoyment of watching these amazing athletes as they progress in their training. Please contact Eliza directly to discuss the many possibilities. She has experience with all of these scenarios. A huge thank you to my current sponsors. Each of these products became favorites of mine before becoming sponsors. I only seek out sponsorship from companies I use and believe in 100%! If you have any questions about the products these companies offer, just shoot me an email to hear about my experience. Or click on the logo to visit their websites.